The book of Hebrews stands alone among the New Testament epistles in its style and approach. It is also the only New Testament book whose authorship remains a mystery. Hebrews is written primarily to those who converted from Judaism to Christianity, many of whom are returning to Judaism to escape persecution from other Jews [Hebrews]. The writer of Hebrews exhorts them to "go on to perfection" (6:1). His appeal is based on the superiority of Jesus Christ over the Judaic system. Christ is better than the angels, for even they worship Him. Christ is better than Moses, for He created him. He is better than the priesthood established through Moses for Aaron and his descendants, for Christ's sacrifice was once for all time, never to be repeated again. He is better than the Law, for He mediates a better and lasting covenant. The epistle casts Jesus as both exalted Son and High Priest. In other words, there is more to be gained in Christ than to be lost in Judaism! The main theme of Hebrews is summed up in the word "better", describing the superiority of Christ in His Person and work (1:4; 6:9; 7:7, 19, 22; 8:6; 9:23; 10:34; 11:16, 35, 40; 12:24). Christ offers a better revelation, a better position, a better priesthood, a better covenant, a better sacrifice, and better power. Thus, it can be said that the writer purposely develops this theme to encourage the readers from giving up the substance for the mere shadow [everything under the old covenant sacrificial system was to point the way to the Hebrew Messiah, the Christ]. In addition to his positive presentation of the supremacy of Christ, the writer includes five solemn warnings about the peril of turning away from Christ (see 2:1-4; 3:7-4:13; 5:11-6:20; 10:19-39; 12:25-29). PURPOSE: To present Jesus Christ as superior over all other religious systems, including Judaism through whom the Messiah was to come. 4:14-16 "Since then we have a great high priest who has passed through the heavens, Jesus, the Son of God, let us hold fast our confession. For we do not have a high priest who is unable to sympathize with our weaknesses, but one who in every respect has been tempted as we are, yet without sin. Let us then with confidence draw near to the throne of grace, that we may receive mercy and find grace to help in time of need." 8:6 "But as it is, Christ has obtained a ministry that is as much more excellent than the old as the covenant he mediates is better, since it is enacted on better promises." 12:1-2 "Therefore, since we are surrounded by so great a cloud of witnesses, let us also lay aside every weight, and sin which clings so closely, and let us run with endurance the race that is set before us, looking to Jesus, the founder and perfecter of our faith, who for the joy that was set before him endured the cross, despising the shame, and is seated at the right hand of the throne of God." Hebrews is sometimes called the "fifth Gospel". Matthew, Mark, Luke, and John focus on the work of Jesus during His earthly ministry, His death, and resurrection. Hebrews describes His present work in Heaven. The recipients were believers (3:1). They had come to faith through the testimony of eyewitnesses of Christ (2:3). They were not novices (5:12). They had successfully endured hardships for their stand for the Gospel (10:32-34). Unfortunately, they had become "dull of hearing" (5:11) and were in danger of drifting away (2:1 and 3:12). This made them more susceptible to renewed persecutions that were coming (12:4-12). While there is disagreement over the specific danger about which the writer cautions them, the classic position is that the readers were on the verge of lapsing into Judaism to avoid persecution. The repeated emphasis on the superiority of Christianity over Judaism would have been pointless if the readers were about to return to some pagan belief system. Thus, it seems rather obvious that this letter was for Hebrew converts. In A.D. 95, Clement of Rome quoted from the letter, so we know it was written before that time. 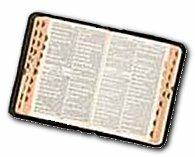 Hebrews fails to mention the ending of the Old Testament sacrificial system, which ended when Jerusalem was destroyed in A.D. 70, so we know it was written before A.D. 70. Timothy, who died around A.D. 80, was still alive during the time of this writing (13:23). Persecution was mounting (12:26, 27). Despite numerous publications on this epistle, scholarly discussion has failed to yield a definitive agreement on the issues of authorship, time, or place. Thus, most agree that conclusions on these questions, including the one concerning authorship, should be avoided in favor of all there is to be learned from the epistle itself. The writer sets forth Christ as our eternal High Priest according to the order of Melchizedek. Christ identified with mankind in His incarnation and offered no less a sacrifice than Himself on our behalf. Hebrews presents Christ as the divine human Prophet, Priest, and King. His deity (1:1-3, 8) and humanity (2:9, 14, 17-18) are asserted with equal force. The writer of Hebrews uses more than 20 titles to describe Christ's attributes and accomplishments (i.e., Heir of all things, Apostle and High Priest, Mediator, Author and Perfecter of faith, etc.). He is superior to all who went before and He offers the supreme sacrifice and covenant! We've already mentioned the key word "better". Study Hebrews' use of these additional key words: "perfect", "eternal", "forever", "partakers", "Heaven", "priest", and "high priest". From Hebrews chapters 7-10, write the purpose(s) of the Old Testament tabernacle. From Hebrews chapter 11, write some of the examples of great faith in the Bible. From Hebrews 4:12, write the descriptions of the Word of God. Study Hebrews 4:14-7:28. Contrast [write comparisons, differences] the priesthoods of Jesus and Aaron. Study the two covenants described in Hebrews 8:1-10:18. Make a list of contrasts between the old covenant and the new covenant. There are five warning passages included in the outline used in this epistle. Study these warning sections, and list the subject and content of each. From Hebrews 12:18-26, list the contrasts between Israel's position at Mt. Sinai and the believer's position at Mt. Zion.